The formless consciousness of the Argonian slipped in and out of the plains of life and death. Hours, Days, Months, time passed regardless of the outside worlds happenings. Pain, fear, despair, all could describe Itun-Ru's mind as he drifted in nothingness. He had failed, he had fallen in battle and he knew nothing of the outside world. Where his friends alive? Did they make it to the scroll? Or had they been turned to puppets of the necromancers. His faith lost, his will broke, slowly but surely he let his life drift away. Then his eyes snapped open. Heat was the first thing he felt. His eyes strained to adjust to the amount of light from the fires burning all around him. His bone creaked, his mind clouded, his muscles aced from the loss of movement. He felt himself lift into the air, hovering like a limp doll in front of the flames that surrounded him. Suddenly there were presences around him. Two shapes he could not make out. The first looked like a small child, with a large horn protruding from the front of his skull. A look of enjoyment and malice stretched across his face. The other was half his size and hunched over on all fours. It carried the shape of a large muscular dog, with an almost demonic nature. The taller figure looked down at the other and spoke, "You owe me money. I told you he would never make it past the Necromancers." There was a growl and the other voice, much more sly and devilish answered. "Well maybe he would have lasted longer if you hadn't barged in there and taken over like you had. I mean look at him, you stripped him of his body before he had even gotten a chance to fight." The tall figure laughed maniacally at the statement. "So very very true Barbas." The figure approached Ituns Limp body slowly. The image of the being became much clearer as it got closer. It wasn’t until he was two feet from him that horror struck Ituns consciousness. Clavicus Viles smirk stretched his entire face, distorting it to a demonic smile. Itun tried to move, but his arms and legs would not listen. "Oh I don’t think you’re going anywhere my scaled friend. You see, we had a deal, and now it’s time for you to pay your end of it." Clavicus reached out and stuck his hand through Ituns chest. Ituns eyes widened as he felt the life leave his arms and the coldness of Oblivion closing in. With the last little breath he had he screamed upwards "WAIT!!!!!" Clavicus stopped, the coldness stood still at his neck. With all he had let he spoke "I.......I did not....forget. I....was able to get it.........I just need more time.......another chance.......PLEASE" Clavicus's smile shrunk. "I do not make a habit of letting my bargains go un resolved. You say you have it, where?" 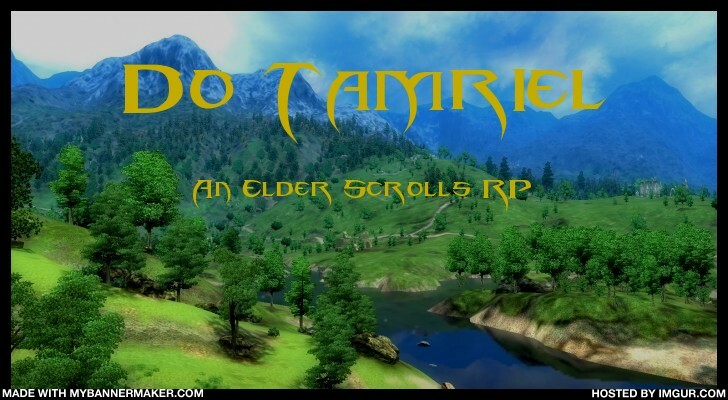 Itun breathed heavier "It’s with my body on Tamriel. It will lead us to what you seek." Clavicus stood there studying Itun then turned his head to Barbas "What do you think?" Barbas growled and nodded it him, his eyes fixed on Itun. Clavicus pushed his hand back into Ituns chest and then took a step back. "I will give you one final chance, and if you do not accomplish what I ask of you, your soul will be Barbas's no toy." Barbas, seeming pleased with this thought, growled at Itun. Itun breathed deep then looked both of them in the eyes "I will not fail you master...." The flames died down to reveal the blackness behind them as Clavicus and Barbas faded away. Ituns restraints faded as well and suddenly he began falling. Farther and farther into the darkness, Ituns conscious being swallowed by the nothingness. Suddenly there was light. A gasp of cold air filled his lungs and the silence of a tomb broken but coughs and gags from his dry throat. He reached up to feel the cold lid of his tomb. His will return to him slowly he reached deep to find his magic was still intact. With a sigh he reached for it and willed the lid to lift up and off of his eternal bed. As his stiff body lifted up out of the coffin he noticed the dim light of the torches. Cheydinhall undercrofts. He blinked a few times until his sight would let him focus and then crawled out of the tomb. Holding himself up against the wall he pushed himself up and out of the undercroft, and to the main floor of the temple. As he rounded to corner to leave, he heard the scream of a woman and turned around to find a priest staring at him in pure horror. He smiled at her, but before he could react she was in a mad sprint down the stairs to find the head priest. Itun dashed out the door and ran through the streets. Night enveloped the town but Itun new where he was going by smell. The dirt grew wet and the thick tall grass was the border he knew to be the edge of the river that ran through town. With all the strength he could muster, he leaped into the water and let it flow over him like silk. After several minutes of swallowing mouth full of water and then rinsing himself of his collection of dust. He made his way out of the river and towards the west side of town. He stopped when he reached the entrance to the building he called home. Upon opening the door he noticed the emptiness that filled the foyer. He climbed the stairs down, making his way to the sleeping chambers. The door squealed open as he entered his old quarters. Nothing had changed, his bed and dresser still made the room look small but it was a welcome sight. He rummaged through finding his traveling robes and then his sack. It wasn’t until he finished packing that he noticed a chest that hadn’t been there before. HE walked over to it and whispered an unlocking spell. The lock popped with a click and the lid opened slowly. Inside Itun recognized his old robes, still stained with the blood from his adventure into the ruins, the large black colossal soul gem, and his staff. At the bottom of the chest rested a large roll of cloth with a letter on it. Itun examined the latter with a smile "I followed your orders to the T, best of luck to you master. -S" Itun smiled and laid the paper down. His heart thumped out of rhythm as he lifted the rolled cloth out of the box. With a flip of his wrist the top of the cloth opened to reveal the gold casing of the Elder Scroll. The shimmer of the gold in the torch light reflected off his scales. A single tear ran down his face the dropped to the floor. HE quickly pocketed the scroll in his pack and then picked up the letter. At the bottom was a small note "P.S. They went to the Imperial City......" Itun frowned then stood and walked out of the hall. He walked out of the guild then headed down the street towards the Western gate, where hopeful the path would lead him to his comrades.